Turkey’s state-run news outlet, the Anadolu Agency, on Tuesday published detailed information on the location of U.S. bases in northern Syria. The base locations that were disclosed are on the front lines of the U.S.-led effort to take down the Islamic State stronghold and de facto capital in Raqqa, Syria. For the safety of U.S. forces overseas, Military Times is not publishing the base locations. Ten bases, including two with air strips, were identified in a map by Anadolu Agency’s English website. The Turkish version includes some troop counts and a detailed map of the U.S. armed forces' presence, reports Bloomberg. 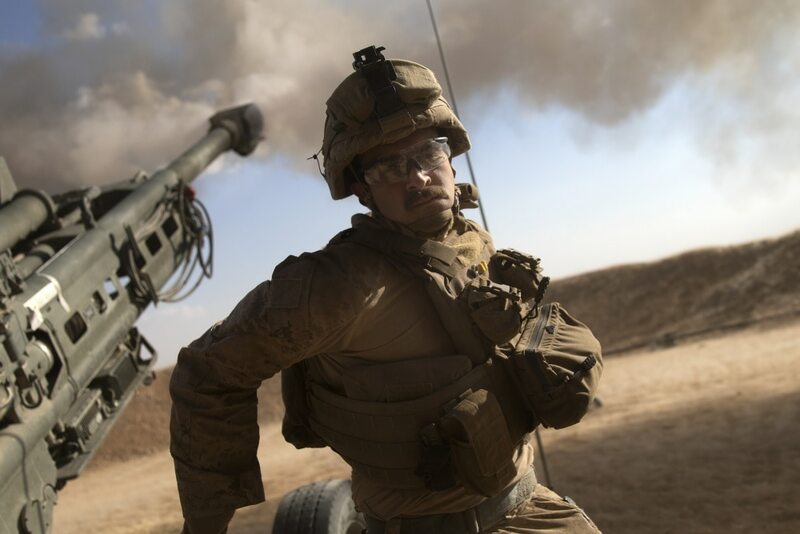 A U.S. Marine fires an M777-A2 Howitzer at an undisclosed location in Syria, June 1, 2017. In addition to the potential threat to U.S. forces posed by disclosing the base locations, the Anadolu Agency also identified locations with French special forces, according to The Daily Beast. The locations of the two air bases in Kurdish-controlled Syria had been reported on as far back as March, 2016. But the other locations show that the U.S. operation in the region may be larger than previously thought. Amid growing tensions between the U.S. and Turkey, the map shows U.S. positions in Kurdish controlled areas of northern Syria. Turkish President Recep Tayyip Erdoğan has largely opposed the Trump administration’s decision back in early May to arm the Kurdish militant group. Turkey views the YPG as an affiliate of the Kurdistan Workers Party, or PKK, a Turkish separatist movement that has been labeled as a terrorist organization by several nations including Turkey, the U.S. and the European Union. 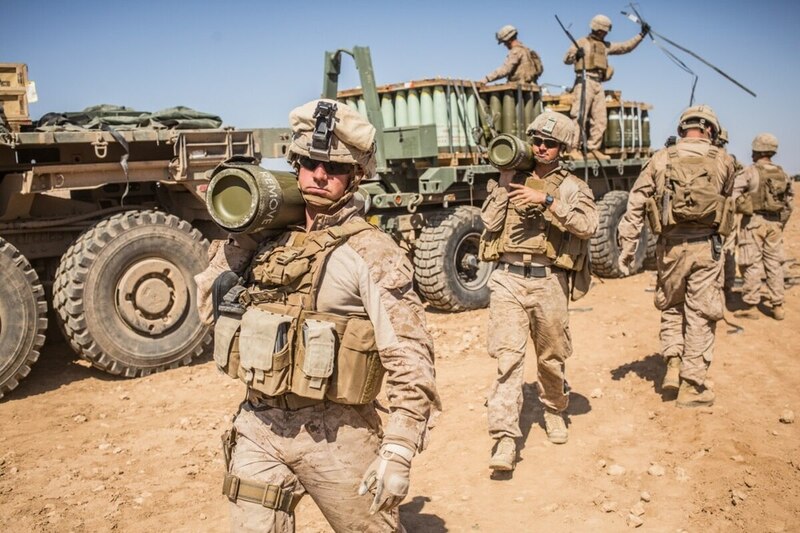 U.S. Marines with the 11th Marine Expeditionary Unit carry 155mm rounds to an M777 Howitzer gun line in preparation for fire missions in northern Syria as part of Combined Joint Task Force - Operation Inherent Resolve, Mar. 21, 2017. The Pentagon told Military Times that it is aware of the published base locations and has expressed its concerns to the Turkish government. "For operational security reasons, we do not disclose the locations of coalition forces operating in Syria to defeat ISIS," wrote Department of Defense spokesman Eric Pahon in an email to Military Times. "The release of sensitive military information exposes coalition forces to unnecessary risk and has the potential to disrupt ongoing operations to defeat ISIS." The Pentagon could not comment on how the Anadolu Agency got the information it published. "While we cannot independently verify the sources that contributed to this story, we would be very concerned if officials from a NATO ally would purposefully endanger our forces by releasing sensitive information," wrote Pahon. Anadolu Agency reporter Levent Tok says the troop locations weren’t leaked by the Turkish government, according to Bloomberg, but that the locations were gathered by Anadolu’s reporters in Syria, as well as from social media posts by Kurdish fighters. "The U.S. should have thought about this before it cooperated with a terrorist organization," Tok told Bloomberg. But Aaron Stein of the Atlantic Council told Bloomberg that the locations were most likely leaked to the Anadolu Agency in retaliation for U.S. cooperation with the YPG. The map also indicates that there has been a buildup of U.S. forces between the YPG and the Turkish-backed Free Syrian Army, or FSA. Turkish warplanes and Free Syrian Army proxy forces have clashed with U.S.-backed Kurds numerous times over the last several months. In April, Turkish warplanes struck YPG and Iraqi Peshmerga positions, and in May, FSA forces mortared positions near the Syrian city of Manbij where U.S. forces are located. These attacks have threatened to undermine the U.S.-backed campaign in Raqqa, where Kurdish militants are in their second month of operations to liberate the de facto ISIS capital.